EASTSIDERS MC is throwing their 2nd Annual MUDBUG RALLY on March 30th 2019 from 11AM-5PM. 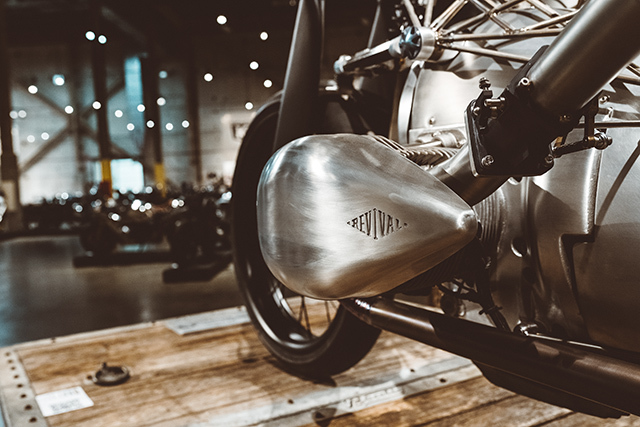 Sometimes we revive old motorcycles, and sometimes they revive us. 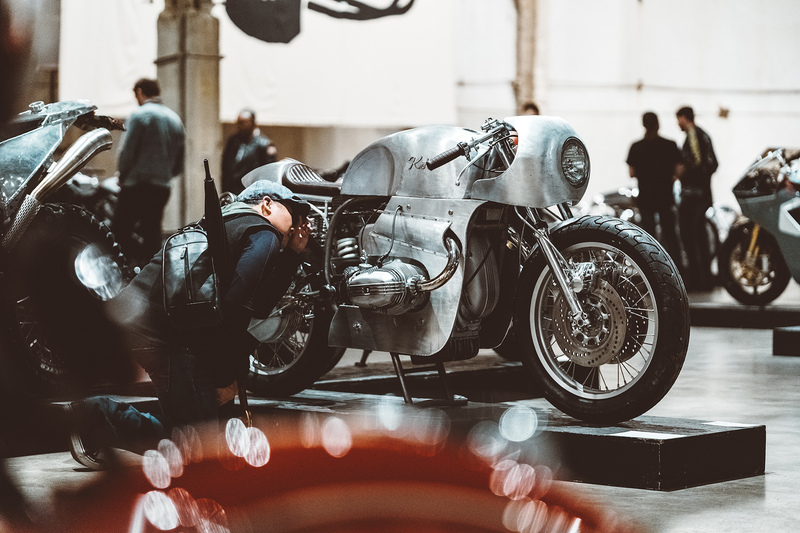 Every April for the last 6 years, Revival Cycles plays host to a moto gathering that quite literally brings one back to life. Scorn from long winters of blizzards, cars not starting, and frozen nether-regions, it’s the exact type of event to put fuel in our tanks, and melt the icicles off our dipstick. Let me tell you – this year’s show was no exception. The 747 steel bird touched down in the 28th state mid afternoon Thursday. 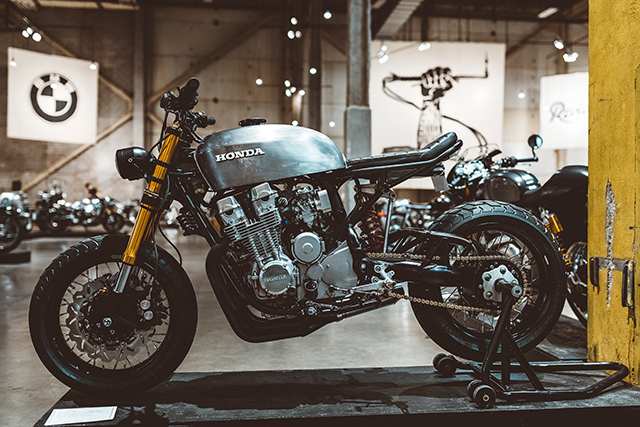 After a quick check in at the hotel, and a not-so-quick check in at the hotel bar – we were off to the Handbuilt kickstart party. Were we reading this right… it was taking place at a castle?? The Revival crew had locked down a legitimate CASTLE for the night’s festivities. Built in 1860 for the Texas Military academy, it was purchased and restored by a fellow moto nut/ friend of the Revival crew, and he was gracious enough to have us for the night. With the hot Texas sun beating down on our backs, we walked up the cobblestone driveway and were immediately greeted by our first glimpse of “The Birdcage”. After a few oohs and ahhs and obligatory social media posts, we bee-lined to the open bar, and enjoyed expertly crafted cocktails by a local bar Revival had employed. As the sun went down and we enjoyed a view from the highest point in the city, we chalked up our first night to a tremendous success. Opening day of the show! Two cups of Folgers deep, and off we went in a shuttle speeding towards Revival Cycles HQ. Alan and the gang were gracious enough to have us by for a truly inspiring shop tour and pep talk about their latest build; “The Birdcage” (read all about it here), and then off to the show! For the second year in a row, Handbuilt was held in the former Austin American Statesman warehouse. The 35,000 square ft Statesman housed more than 140 custom motorcycles this year, from some of the top builders all over the world. As we walked up to grand front entrance, the familiar scent of burnt rubber and food truck tacos danced in the air. Born To Ride Episode 1207 - 1200th TV Episode Mega Bash [04/21/2019]This week on Born To Ride, we take you to the Twilight Zone for the Born To Ride 1200th Episode Mega Bash! Where we meet up with Dr. Paul Bearer, the Master of Ceremony for the event! Plus we had Live Music by Tommy Roxx, and Nu Breed! Then we meet up with Ridin 813, to talk about their upcoming event at the Big Dogs Patio! And last but not least, its time for Bikini Babes and a Bike Show. Check out some of Florida's hottest babes as they strut their stuff for a chance to win $500! All this and more, here on Born To Ride TV.